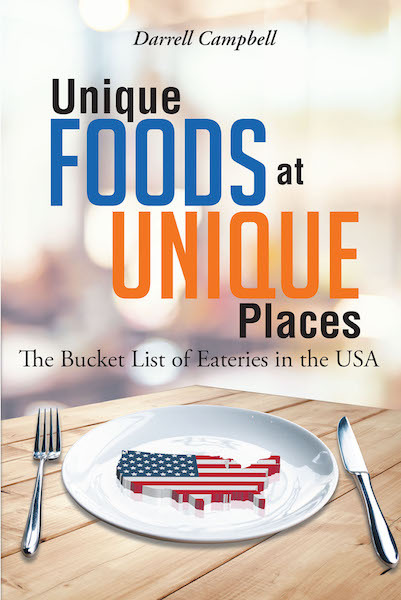 The real purpose of this book is to give the readers some suggestions of unique restaurants or unique foods as they travel the United States. Being unique can come in a variety of ways that range from old service stations to log cabins to delivering food using a miniature train. The eateries included in this book are places that everyone should try. Their menu will have something included that is unique in some manner; however, there will be something on the menu for the normal folks in your party as well. Darrell hopes all readers will have the pleasure of visiting all the places listed in his book, and during that visit, please show a copy of the book to the management of the restaurant.